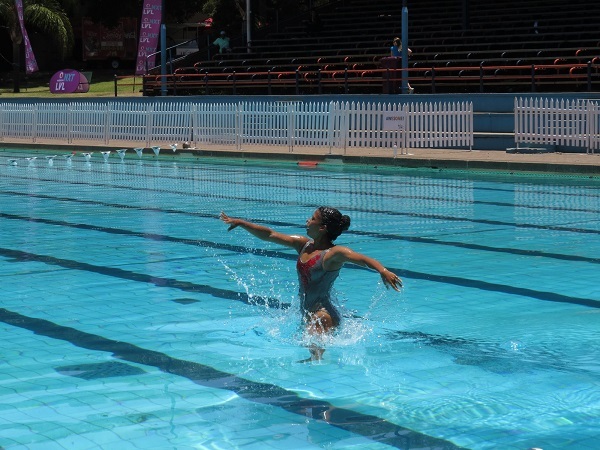 Madibaz artistic swimmer Courtney Musson continues to impress in the national arena. She returned from the national championships in Durban last week with a haul of six medals – one gold and five silvers. “I was extremely happy with how I performed in my events, especially in my individual events,” said the human movement science masters student. “I specialise in the individual events, also known as a solo, which includes a technical solo category and free solo category,” she explained. “The technical solo was one of my toughest routines that I had to perform at competition and previously, in December at our national club competition, I did not meet one of the criteria in the routine. “Another who played a big role in my career is my mom, Jenny. She has been through every moment with me, from the lows to the highs, as a supporter as well as a manager of my national and international teams. “She taught me so much throughout my years of training and helped me to cope with the stress of my individual events and how to perform at an international level with confidence.